Please see this link for our latest newsletter: El Correo – January 2017. The association’s property, known as the Lobanillo Swales, is about to move towards its next stage of development. With an archaeological survey done in early 2015 and a general survey by the NPS done later that year, we will soon be conducting a construction level survey of the site. This level of survey will allow contractors to know exact dimensions of various developments for the location, such as the size of a parking area and the dimensions of a hiking trail that will be created. Plus, signing for Lobanillo is underway. The official NPS site identification signs for the property have been shipped and interpretive panels and their bases are in the process of being fabricated. Once the construction level survey is complete, clearance for development will be sought from the National Park Service and Texas Historical Commission. This is required as protections for the site are in place, since it is listed in the National Register of Historic Places and because it is designated as a State Antiquities Landmark. Following agency clearance, contractors will perform the construction, and we envision that the site will be ready for visitor use by the end of 2017. This is a huge step for the trail and the association. We are the only National Historic Trail organization in the country that owns a piece of a National Historic Trail! We were only able to accomplish this with the support of individuals and businesses like you, so please consider making a donation to the development and upkeep of Lobanillo. It is a site like no other on the trail and we are making it accessible to you, so that you can vicariously experience traveling the trail just as explorers and settlers did hundreds of years ago! In April 2017, the association will begin working on its second strategic plan. The first strategic plan was in effect from 2011 through 2016, and with a new board in place, there is no better time to craft the vision for the organization for the coming years! The strategic planning will be facilitated by two representatives of the Texas Historical Commission. Emily Koller is a planner in the agency’s Community Heritage Development Division – Texas Main Street program and has facilitated strategic planning for communities within that capacity. Susan Shore is a program specialist with the Community Heritage Development Division – Texas Heritage Tourism program and she conducted strategic planning for all THC Heritage Tourism Trails. Both are highly qualified to facilitate the process and the planning will take place over a two-day period during our April board meeting. The strategic plan will be reviewed by the board in July and finalized by our annual meeting in October. It will be in effect for five years from its date of acceptance. Stay tuned as we work toward our next stage of development! The association was recently selected as an official partner of San Antonio’s tricentennial celebration, which takes place in 2018! Coordinated by the San Antonio Tricentennial Celebration Commission, the city is collaborating with non-profits and businesses to help highlight the city’s history and achievements. Our association will host its annual meeting in San Antonio in October 2018 and it is going to be a big one! Planning is beginning and association representatives Sarah Gould, Ellen Riojas Clark, and Steven Gonzales attended the initial organizing event by the SA300 committee. We are grateful to be an official partner of the SA300 celebration, and we look forward to working with the community to highlight the trail’s connection to the founding of San Antonio! If you have traveled the trail lately, you might have seen official National Park Service signage indicating you are traveling an Original Route of the trail, or perhaps directing you to a trail site such as Fort St. Jean Baptiste State Historic Site. Since 2012, we have been working with local communities, the NPS, and state agencies from Louisiana and Texas to mark and identify El Camino Real. The effort began in June 2011, when former Texas Governor Rick Perry signed legislation designating El Camino Real de los Tejas as a Texas historic highway. The legislation authorized the Texas Historical Commission to work with the Texas Department of Transportation to “designate, interpret, and market El Camino Real de los Tejas National Historic Trail as a Texas historic highway.” Former board member, Carl Mica, worked hard to push for the legislation, which resulted in two bills in the Texas Legislature. These were SB1831 and HB 3421, and the bills were sponsored by Senator Jeff Wentworth (R-San Antonio) and Representative Doug Miller (R-New Braunfels). 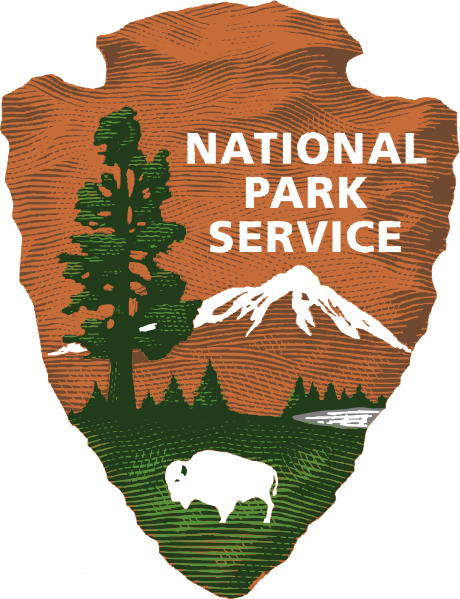 Within a little over a year of the legislation going into effect, the unveiling of the first-ever official National Park Service signs took place. On Monday, October 8, 2012 at 10:00 AM, in Rockdale, Milam County, Texas, former US Senator Kay Bailey Hutchison, NPS Superintendent Aaron Mahr, former Deputy Executive Director of the Texas Historical Commission, Terry Colley, and a host of others took part in the unveiling and dedication. Attended by over 1,000 people, the event signified the enthusiasm for signing that was to come! To date, there are signs in fifteen out of forty counties and parishes across the trail, and there are three additional counties that will have signs in them within the year. Plus, we are planning on signing in three additional counties in FY17. So, if you are in San Ygnacio, along the Rio Grande, or in Natchitoches, on the Cane River, keep an eye out and look for signs that you’re traveling the trail! Steven Gonzales will be speaking in multiple locations across the state in the coming months and we encourage you to attend. On February 9th, he will do a presentation at the Bum Phillips Retreat Center and Camp located at 2981 S. Riverdale Lane, Goliad Texas 77963. The presentation will take place from 11 AM until noon and will focus on the history and development of the trail, as well as a proposed signing effort in the county. Other speakers will focus on mission ranching and issues dealing with the San Antonio River. On February 24th, Steven will speak at Mission Dolores State Historic Site in San Augustine, Texas. As part of the Mission’s Lunch and Lecture series, which is taking place in conjunction with the 300th anniversary of the founding of the mission, Steven’s will speak on El Camino Real de los Tejas: Past and Present. The presentation will be from noon until 1 PM and will give and overview of the trail’s history and modern developments. On April 1st, at the McAllen Public Library, Steven will speak during the monthly Valley Roots Series. The event is part of a larger genealogical society meeting and more information will be forthcoming. Please check the News and Events link of our website and our Facebook page for more information, as it becomes available. Steven and other association representatives are available to speak at events across Texas and Louisiana. If you are interested in having a speaker at your event, please contact us at steven@elcaminorealdelostejas.org. Steven Gonzales speaks at Milam County sign unveiling.